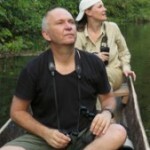 I just returned from a wonderful two week trip to the lowlands of Manu in Peru. I split my time between the Manu Reserve Zone and the new, excellent Manu Birding Lodge. I’ll write up a detailed report once I process my photos (could be several months). + Best sighting: I met a Jaguar on one of the trails at night. It just walked up to me, and didn’t stop until I said “stop.” We stared at each other for a minute, it turned around and left. I saw it returning a few minutes later, it sat in the same spot. It lowered its hind legs, probably to sit, but perhaps to pounce, so I said “you don’t want to eat me,” it left. Another much briefer Jaguar sighting (probably the same animal) on a different night walk. + Good trails for night walks. They cleaned them well, so I could concentrate on finding mammals rather than walking quietly. Still, it requires a different skill set than I’m used to (filtering out the sounds of falling leaves, branches, fruit for animal sounds) and I felt like I was getting used to it only toward the end. + Paca, Kinkajou, Night Monkey seen every night. + Sign of Giant Armadillo around the collpa, so ask the staff to clean the trail all the way there (but not necessarily the others). The perfect night walk would be to walk there, wait a couple hours, then walk back. 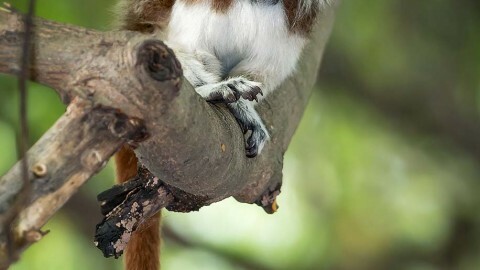 + Multiple sightings of 10 species of monkeys, including Emperor Tamarin and Monk Saki. There is a record of Goeldi’s Monkey from a bamboo patch at the neighboring lodge, but hours of watching groups of tamarins for them didn’t pay off. + Permit, guide required. I organized it through Casa Matsiguenka, but there were some logistical difficulties. More details to come in my full report. + Very well protected, so the large monkeys are relatively tame. Saw 10 species of monkeys here, the same as at MBL. Woolly Monkeys are also possible at Pakitza and the terra firma around Casa Matsiguenka, but Pygmy Marmoset seems much more difficult than in Ecuador. + I saw many more birds, mammals at MBL than here, which I attribute to not walking alone. Dany was good, but two people make more noise. + Only notable observation was the sound of a Giant Armadillo walking away… I probably would have seen it if I was walking alone. 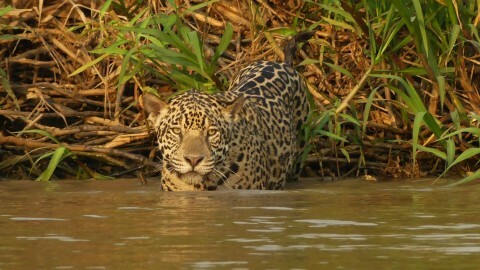 + Jaguar is often seen along the riverbank, especially after rain or cool weather. Despite spending extra time on the boat to go to Pakitza, didn’t see any. Hot, dry weather during the entire stay. + The most reliable site for Goeldi’s Monkey, with multiple recent sightings, appears to be a two hour’s walk from Limonal on the Romero Trail. I learned this too late to incorporate it in my itinerary. Overall, it was a great trip. The birding was wonderful, and I also saw a few herps (including another sighting of my least-wanted animal in the neotropics: a Bushmaster). Between this and my 2011 trip, I’ve seen all of the bird and primate specialties of the lowlands of SE Peru besides Rufous Twistwing and Goeldi’s Monkey. 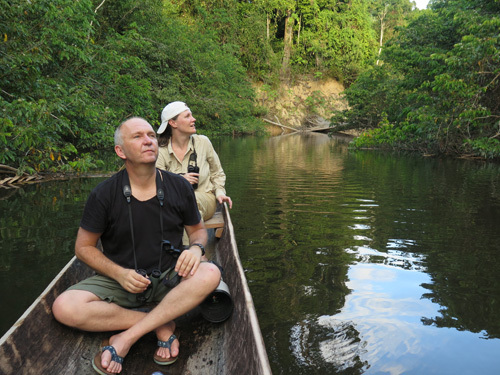 I’d like my next Amazon trip to be to a different region (perhaps the Guyanas), but it’s hard to find lodges in good habitat and do not require guides. Any suggestions?